As the digital landscape has transformed the way we send, receive and seek information, online shopping has increased significantly in the last few years. Research by Wipro Digital found that in 2013, 36 percent of U.S. shoppers reported doing the majority of their shopping online, and since then, ecommerce has increased by 25 percent. 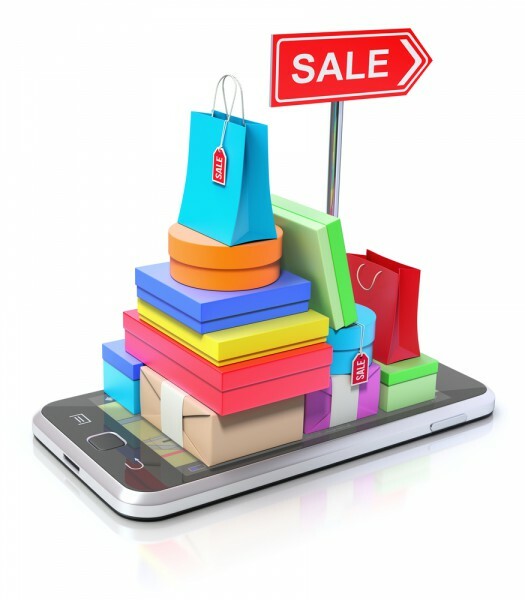 Today, 61 percent of U.S. shoppers are making the majority of their purchases online. This trend will continue to grow this year. According to Wipro, 50 percent of U.S. shoppers plan to do more shopping online, while only 4 percent plan to make more in-store purchases. On June 2, Pinterest and Instagram unveiled “Buy buttons” that allow users to purchase items they see while scrolling through Pinterest boards and Instagram feeds on their mobile devices. On Pinterest, you will now see “buyable pins,” enabling users to search for pins within a specific price range, product color and more, while buying directly through Pinterest’s mobile app. Rich pins (pins with information for ingredients and DIY projects) will also have “buy it” buttons, so users will be able to buy the list of products without leaving Pinterest. While scrolling through Instagram, you will see ads with “Shop Now,” “Install Now,” “Sign Up” and “Learn More” buttons. These features are an addition to Instagram’s carousel ads that launched in March and will help companies with their selling and marketing efforts on social media. For companies, these new ad features will have better targeting options based on age, location, gender, interests, places and other demographics. Some marketers believe these new features on Pinterest and Instagram will increase brands’ conversion rates and boost engagement and sales, but others believe these features don’t help them get to know their consumers enough. While the new buyable pins on Pinterest could significantly increase company sales and enhance the consumer experience, some people do not believe the same can be said for Instagram. Adam Padilla, creative director of BrandFire, describes the new Instagram features as “risky” and “a mistake.” As an Instagram user with over 17,000 followers, he doesn’t want to feel like he’s shopping while he scrolls through his feed. Padilla described Instagram as more of a personal experience than Pinterest and said Pinterest was similar to a marketplace like Etsy. With these features, companies will have to be cautious and think about their digital strategies because consumers don’t want to feel like their Pinterest searches and Instagram feeds are being taken over by ads. While some believe these updates won’t help drive sales, others believe these features will make shopping even easier with instant access to products. One thing is for sure, digital technology is changing the way we live our lives, and these new features on Pinterest and Instagram have the potential to change the way we view products and make purchases. Megan Healy is a senior at Temple University majoring in Strategic Communication with a concentration in Public Relations and a minor in Spanish. She is an active member of Temple University’s chapter of the Public Relations Student Society of America and is an account executive for PRowl Public Relations, Temple’s student-run PR firm. She will be studying abroad in London this summer and will be graduating this December. Follow Megan on Twitter at @Meg_Healy_ and connect with her on LinkedIn at https://www.linkedin.com/in/meganhealy22. This entry was posted in Tips & Advice and tagged Brands, Buttons, Consumer, Digital, Digital Marketing, Ecommerce, Etsy, Instagram, Marketing, Marketplace, Online, Online Shopping, Pinterest, PR, Public Relations, Purchaser, Sales, Shoppers, Shopping, Social media, Strategies, Technology, Trends, Updates by pprablog. Bookmark the permalink.